I just returned from events at the Oak Creek Gurdwara commemorating the one-year anniversary of the shootings which killed six worshippers in the Gurdwara on August 5, 2012. It was my third trip to Oak Creek since the shooting. I was there one week after the shootings accompanying a delegation from Sikh Dharma including the Bhai Sahiba and the Siri Sikhdar Sahiba. Seeing the devotion, resilience and strength of that community at that time was one of the most powerful experiences of my life. 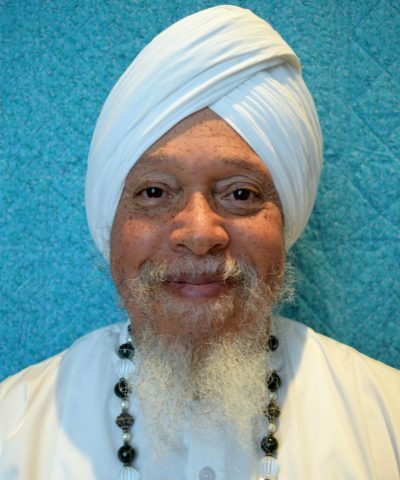 As I entered the Gurdwara on that Sunday, a week following the shootings and experienced the powerful juxtaposition between the completion of the Akhand Path and the single bullet hole the Sangat had left as a reminder in the doorway, I was struck by the real healing and redemptive power of Gurbani. This experience was enhanced when we went out in front of the Gurdwara and the flag pole bearing the Nishan Sahib was lowered, stripped of its old covering, washed with milk and water, covered anew and raised as the words of the Guru were recited. To me this was a powerful statement that no act of violence or intimidation can prevent the Sadh Sangat from joining together to listen to and sing the sacred hymns of the Gurus. They have exemplified the words of Guru Nanak: “Nanak Naam chardi kala tere bhane sarbat da bhala.” They are changing hearts and minds of everyday people in their community as well as the Governor Scott Walker, the U.S. Attorney, the Chief of Police, and the Mayor all of whom spoke of their appreciation and amazement at the ability of the Sikh community to remain without fear, without vengeance in the face of this horrific shooting. I attended the memorial events on Saturday, August 3 which included a 6K run-walk with over 800 community participants from Oak Creek and beyond. Those participants included Lt. Brian Murphy, the first responder on the scene on Sunday August 5, 2012 who sustained multiple serious gunshot wounds in his shootout with the suspect, but still instructed his officers who arrived later to see to the other victims. The participants also included the parents of Emilie Parker, one of the young victims of the Newtown, Connecticut school shooting. 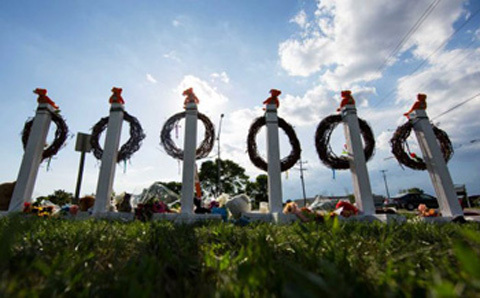 The young victims of the Connecticut shooting were included in the memorial shrine to the Oak Creek victims. On Sunday, August 4, 2013, I was privileged to play kirtan along with MSS Kirtan Singh, Himmat Singh and Shiva Singh at the Gurdwara. I later joined with Kirtan Singh in addressing the Sangat and was present as Kirtan Singh presented a proclamation from Sikh Dharma International to the Oak Creek Sangat. My experience of the Sikh Community of Oak Creek is that they are a living, powerful example of the transforming power of love over hate and light over darkness. They have heard and embodied the words of the Guru—that which takes you from darkness to light. SS Gurujodha Singh Khalsa is an ordained Sikh Dharma Minister. He serves as the current President of the Siri Singh Sahib Corporation. He is an attorney licensed in CA since 1979 and is one of four Chief Deputies in the Office of County Counsel, Bakersfield, Kern County, CA. He is the originator of a self defense system entitled The Spiritual Warrior Training System and is a Sixth degree black belt Instructor of Kenpo Karate. 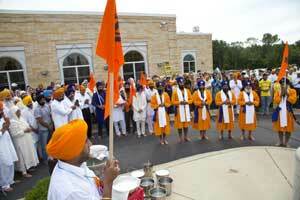 He is a founding member of the Amritsar-Bakersfield Sister City Committee.